An NHS-backed dance programme for people living with Parkinson’s in Scotland, UK, is planning to launch nationwide after winning a £295,000 grant from the Paul Hamlyn Foundation. ‘Dance for Parkinson’s Scotland’ – a programme developed by Scottish Ballet in collaboration with Dance Base, the national centre for dance in Scotland – now plans to deliver classes in five new locations: Aberdeen, Dundee, Greenock, Inverness and Kilmarnock. Launched in April 2016, ‘Dance for Parkinson’s Scotland’ currently hosts free weekly classes in Glasgow and Edinburgh, featuring live music and led by a motivated team of trained staff and volunteers from Scottish Ballet’s Regenerate classes and Glasgow Clyde College. 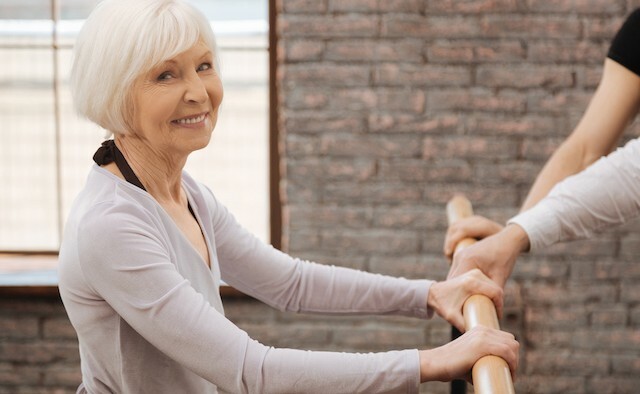 For people with Parkinson’s, dance has been proven to be beneficial to both physical and mental wellbeing, and may improve symptoms of the condition such as tremor, dyskinesia, flexibility, balance and depression. The ‘Dance for Parkinson’s Scotland’ programme is supported by research conducted in partnership with the University of Glasgow, NHS Glasgow and NHS Edinburgh, on the impact of dance therapy for Parkinson’s. Dr Donald Grosset, a consultant neurologist at the Queen Elizabeth University Hospital and head of research for the ‘Dance for Parkinson’s Scotland’ programme, said: “This project is relevant to many aspects of Parkinson’s including fluidity of movement, balance, and personal expression. In this short video, three programme participants – Tom Sloane, Alison Lefroy Brooke and Aida Andrews – discuss their Parkinson’s diagnosis and how the programme has had positive impacts on their wellbeing. The ‘Dance for Parkinson’s Scotland’ classes combine ballet and contemporary dance and incorporate themes and movements from current shows. In addition to dance, the classes also feature activities focusing on vocal skills, problem solving, multi-tasking, improvisation and repetition from memory. To find out more about the ‘Dance for Parkinson’s Scotland’ programme, please visit the Scottish Ballet’s website. For more information on Dance Movement Therapy and Parkinson’s please visit the EPDA website.